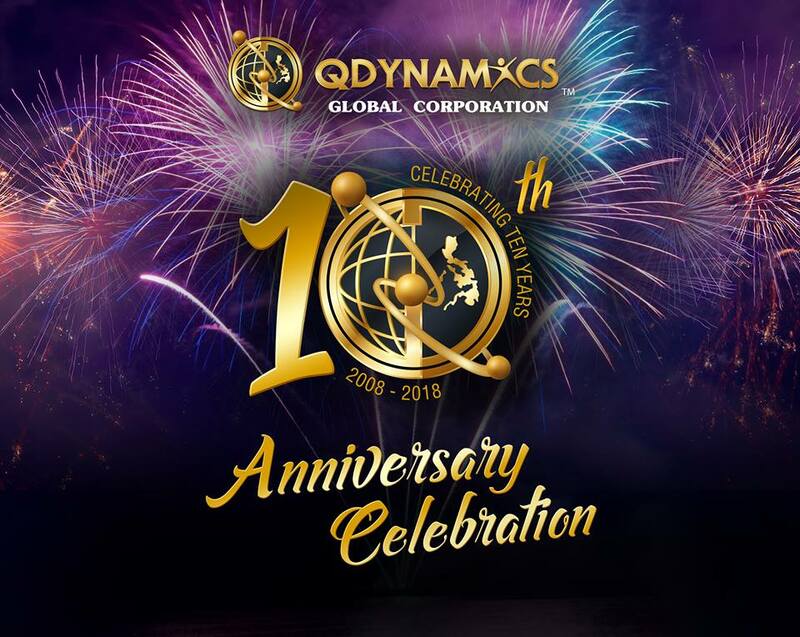 Today marks the 10th year of Qdynamics Corporation and it is also a remarkable day for me because this is the day that I learned a lot of things about myself and the work that I do. You see, I am always busy. Attending to my family's needs at home, homeschooling my daughter, processing orders and assisting things for my downlines yet I always feel like the things that I do are not enough. At the end of the day, I always feel exhausted because I feel that there are so many things in my to-do list but I haven't finished all of them and things kept on adding each day. Then, I paused and reflect in prayer. It was in silence that God told me that I am enough. What I am doing is enough. I have not been lazy. I have not been neglectful all my life. He sees my hard work. He sees how hard I try to do a lot every day. What is lacking is my appreciation of my work and acceptance of what I can complete. There is nothing else I need to do for as long as I try to do my best. It is also today that I realized that I do not need recognition from other people. Even my own family. The things that I do may not be appreciated by people closest to me but God knows what I do and He knows what I am worth. These thoughts give me peace and joy knowing that there is only an "audience of one". I need not please people. I only need to please my God. It is during this state of peace that I become grateful. 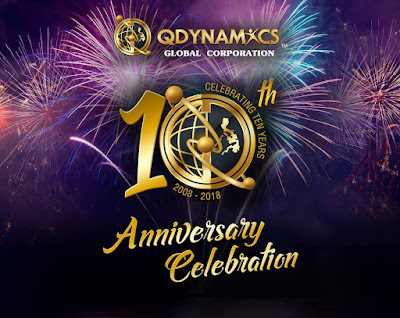 When I attended Qdynamics 10th year annversary my goal is to connect with people who are part of the company and to show how thankful I am to be part of its mission that takes care of people's health and well-being. Surprisingly, I won in the raffle prize and I'd like to believe that this is because I shifted my energy to a place of gratitude from a place of worry and fear. 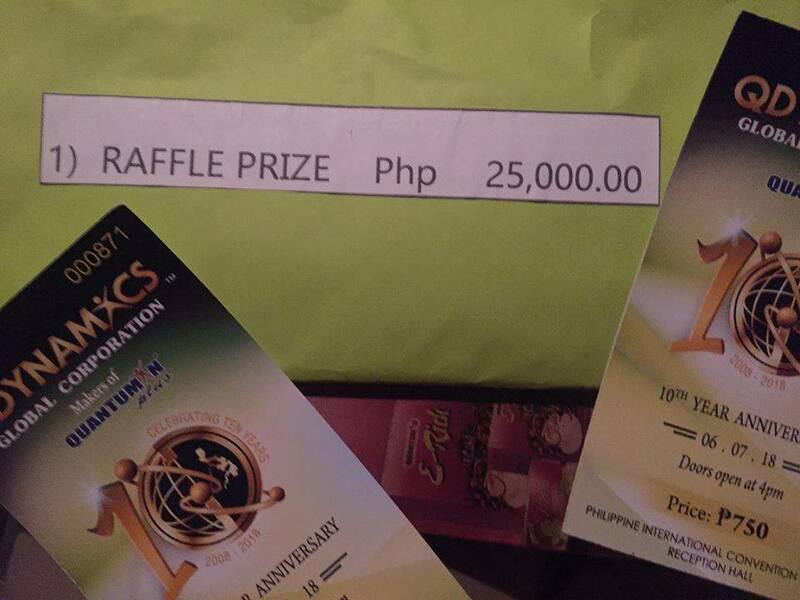 Happy anniversary Qdynamics!!! Cheers to more fruitful years with you.